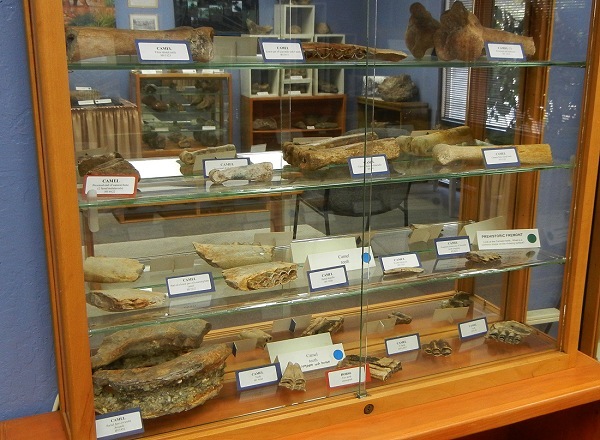 The Children's Natural History Museum is under the radar in a modest building in Fremont. But under the management of Joyce Blueford, a trained paleontologist with a Ph.D. from UC Santa Cruz, it gives thousands of local students and their teachers the chance to put their hands on real scientific tools and geological treasures. Its core attraction is a large set of specimens from the Bay Area's greatest fossil find: the Ice Age mammals of the Irvington gravels. Some of the museum's best fossils are appearing right now at the Alameda County Fair. The sand and gravel quarries of Irvington, one of the five towns that incorporated as Fremont in 1956, were a rich source of fossil bones. Starting in the 1940s, they were assiduously collected by longtime East Bay teacher Wes Gordon. He loved to teach science as a hands-on activity, and Gordon's group of high-school student assistants were immortalized by Life magazine as "the Boy Paleontologists." The fossils of Irvington are the scientific basis of a formal North American Land Mammal Age, the Irvingtonian. Much of the fossil trove went to UC Berkeley, but other local institutions were given fossils to promote their science teaching. 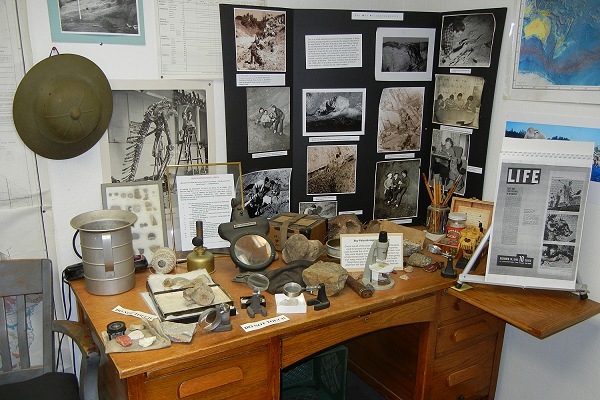 Gordon's pride and joy was the science museum he maintained for the San Lorenzo School District, which included many Irvington fossils, a large rock and mineral collection, a set of Ohlone artifacts and century-old taxidermied animals cast off by the De Young Museum. After Gordon died, his collections became the heart of the Children's Natural History Museum. I walked in one afternoon and Blueford led me to some of the large Irvington bones, still half encased in their hard gravel matrix. Nowhere else in the world can you simply pick up this material from a shelf in your own hands. The collection has bones of mammoths, camels, horses, wolves, pronghorns, large cats and more, all from Ice Age species that are now extinct. One little thing that impressed me when I visited the museum was the rocks for sale in the gift shop. They're real rocks that you can learn from, not just pretty pebbles, and they're priced low. The rest of the museum is also full of real stuff, ready to unlock a child's mind and engage a teacher's skills in ways that no website or interactive kiosk can offer. The museum also has a small planetarium, a roomful of microscopes and microfossils to use them on, lots of skulls and bones and shells, and two classrooms for groups of young students. There's also an exhibit on the Boy Paleontologists. More Irvington fossils are still out there, if an effort can be mounted and funded, and maybe a new set of Young Paleontologists, no longer limited to boys, can arise. 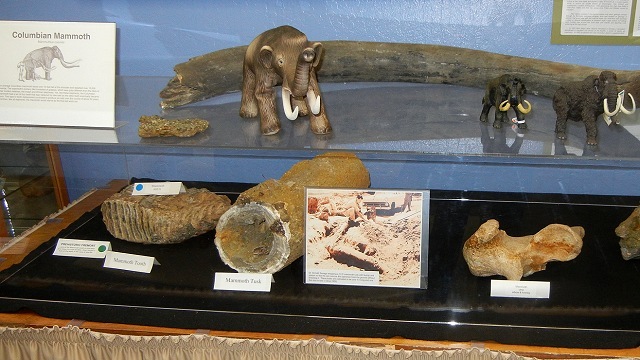 Blueford is showing some of the best fossils from the Children's Natural History Museum at the Alameda County Fair. Look for them in the Minerals and Gems exhibit in area O, at the center of the fair. The museum is just one of the projects under the Math/Science Nucleus, the nonprofit umbrella organization Blueford founded in 1982. Pull up a chair and ask about the Nucleus's projects on the Hayward fault, watershed restoration, Fremont history, fossil preparation, and K-8 science curricula and teaching kits. All of them can make well-targeted use of volunteers, interns, docents and donations of talent and equipment. Around these parts, geology has become a niche topic in schools even as interest in local sustainability rises, the need for mined resources grows, and some of the world's most fascinating geology is on display. The Bay Area is blessed with some wonderful big science museums, but geology is poorly represented at them. So it is that a modest outpost in Fremont with brief hours and a small staff is the Bay Area's best geology museum. If you have any interest in good science education, seek it out and consider the opportunities it offers.